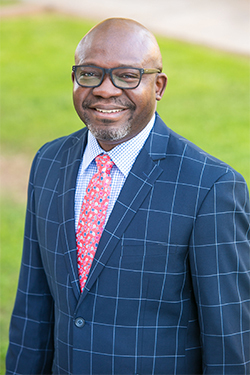 Bamidele ‘Bami’ Adelayo is licensed to practice in law in Arizona, Illinois, New Jersey and Minnesota. Bami is an experienced immigration and criminal defense attorney with a consuming passion for representing immigrants and criminal defendants. Bami grew up in the southwestern part of Nigeria and speaks fluent Yoruba language. He obtained his bachelor’s degree (LLB) at the Olabisi Onabanjo University (formerly known as Ogun State University. In the United States, he obtained two law degrees from Washington University School of Law in St. Louis, Missouri: Juris Doctor and LLM (with emphasis on international law). As an immigrant himself, Bami was vitally interested in immigration law which further deepened while attending law school. His knowledge of this area of law has greatly expanded in his subsequent legal practice. As a defense attorney, he worked at the New Jersey State Public Defender’s Office representing indigent clients charged with serious felonies. He also served as a prosecutor at the Will County State’s Attorney’s Office in Illinois. Bami’s passion for criminal defense came from the combination of these experiences. He has seen both sides for criminal practice: the prosecution side and the defense side. Bami understands the difficulties that families face when they encounter law enforcement. Be it, Immigration and Customs Enforcement Agency (known as ‘ICE’) or crime investigating law enforcement agencies such as police departments, federal, state or local. He brings a unique perspective to the practice of law and to the defense of his clients. From the moment he takes on a client’s representation, he guarantees his personal attention and involvement from the beginning to the end of the case. He provides customized solutions to every client’s needs. Bami has achieved great results and successes for clients. He truly believes in the focus of “one client at a time.” In his spare time, he enjoys spending time with his family, traveling, coaching soccer, learning and speaking Spanish.